On 12 December, Indire is going to host prof. Paulo Blikstein’s Lectio Magistralis “Innovative learning laboratories and school learning transformation: the impact of the maker movement”. The lesson will be open to everybody, researchers, teachers and students and is going to be held in the Indire’s headquarters in via Michelangiolo Buonarroti 10, in Florence. At 9.30 am, the President of Indire, Giovanni Biondi, will open the conference, followed by the brief talk of Indire’s researchers on the project Maker@school. Form 11 am to 12 pm there will be the Lectio magistralis of prof. Paulo Blikstein and Tamar Fuhrmann, researcher at the Transformative Learning Technologies Lab, department of School of Education of Stanford University, California. STEM subjects (science, technology, engineering, maths). Prof. Blikstein researches and develops state-of-the-art educational technologies, from low-cost robotics kits to full-blown digital fabrication labs, promoting constructionist learning of scientific subjects with a “maker” approach. Unlike traditional science and math education, which places great emphasis on rote memorization of facts and formulas, the focus is on invention, innovation, and collaborative problem-solving. In the digital fabrication labs, students learn science and engineering by creating inventions to solve real-world problems, and by designing scientific experiments to examine their own theories about nature. Blikstein has been a pioneer in bringing the Maker movement at school starting his first “Digital Fabrication” educational programme for schools and creating the “FabLearn Labs” (previously known as “FabLab@School”). His group created advanced laboratories of “digital fabrication” and carried out research in upper and lower secondary schools in the US, Russia, Mexico, Spain, Australia, Finland, Denmark, and Thailand. He is also founder and first researcher of the “Lemann Centre for Brazilian Education” in Stanford, a 10-year effort by the School of Education and the Lemann Foundation to foster innovation in public schools in Brazil. Blikstein was the recipient of the prestigious National Science Foundation’s Faculty Early Career Development Award and the AERA Jan Hawkins Early Career award, he achieved a Master’s degree from the MIT Media Lab and a PhD at “Northwestern University. Since 2014, Indire has been carrying out the research project Maker@school, monitoring the most interesting initiatives related to the “makers” and the “Digital artisans” in Education. The project is coordinated by the researcher Lorenzo Guasti who has started in 2016 a collaboration with the TLTL laboratory of Stanford University. 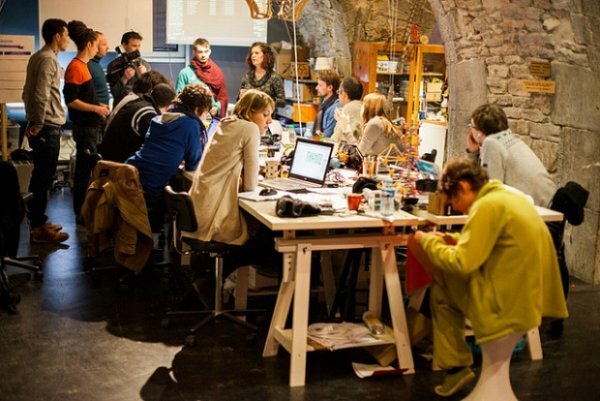 Its aim is to study and share the Maker-space and FabLab initiatives in the belief that research in this field can support innovation in Italian school education. Faebook Live streaming (12/12/2017 start 9.30). 11:00 – 12:30 Paulo Blikstein’s Lectio Magistralis “Innovative learning laboratories and school learning transformation: the impact of the maker movement” with the contribution of Tamar Fuhrmann, researcher at the Transformative Learning Technologies Lab.